What should pastors do about their social media relationships when they move from one pastoral assignment to another? 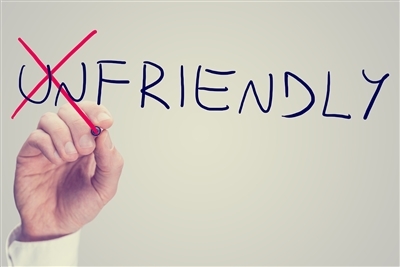 Do you “unfriend” all former members on Facebook and “unfollow” them on Twitter? After all, members in the church you are leaving may be watching to see if you post affectionate notes about your new church. You might find yourself curious about what your former members have to say about your departure or your successor. And people in your new church may monitor how you interact with your former members, as might the new pastor of the church you are leaving. As with the changes that take place in your personal relationships, social media changes are dictated by several factors, including the nature of the relationships, the boundaries that you have already established and a good healthy dose of common sense. Avoid overusing social media during a transition. One simple way to ease your shift into a different set of social media relationships is to scale back your social media use during your transition. Posting frequent status updates, liberally commenting on other people’s posts or “liking” everything on your homepage can easily become a distraction and waste time when your attention needs to be elsewhere. Keeping a low profile on social media may be the simplest way to manage the many different relational dynamics at play in a time of transition. Don’t rely on social media to get to know your new congregants. Social media is designed for staying in touch with others, not as a primary avenue for developing new personal relationships. Use social media as a supplementary way of keeping up to date with people but never as a substitute for face-to-face ministry. Manage social media contacts in the church you are leaving. Some moving pastors choose to “unfriend” everyone from their former church, eliminating the temptation to continue to act as their pastor. Another alternative is to move previous church members to a list with limited access to your profile. People on this list would not be able to see new wall posts or pictures of your life in the new church. Advanced settings on Facebook permit you to create sub-lists for different categories of friends and set different levels of access to organize Facebook friends into different groups to receive different posts. In addition to grouping people by past and current congregations, you may also want to create other groupings for family or classmates from high school, college or seminary. Check out this blog from the Pacific Northwest Conference with an additional perspective on how social media affects pastoral obligations in transitions. Whichever option you choose, it is important to state clearly in advance how you will handle this transition to avoid hurt feelings. If former parishioners remain as Facebook friends and Twitter followers, remember you are no longer their pastor. Talk about your plan and your new relationship on social media just as you talk about other changes and boundaries that come into play because of your transition. Let people know what is changing and what is not in your relationship, including through social media. Begin with conversations with church leaders, but eventually share the plan broadly. Bruce Reyes-Chow, a Presbyterian pastor, worked with the church he was leaving to develop a “covenant,” both to ensure a healthy transition and to remind everyone of the importance of the relationship between pastor and congregation ("The Definitive-ish Guide for Using Social Media in the Church," Shook Foil Books, 2012). It reminded everyone that great self-restraint was required to allow for a relationship with the new pastor to flourish. Check for guidelines. Increasingly, there are denominational and judicatory expectations for pastors both in the use of social media and in how it should be handled when there is a pastoral transition. Check to see if there are such guidelines or rules that apply in your situation. But no statement or document can capture the complexity of these and other dynamics that go on during times filled with such mixed feelings of joy and grief by all involved. As Reyes-Chow puts it, “The line over which we must not cross when it comes to pastoral transitions is wide and gray, thanks to the expansive nature of social media.” It is hard to strike the perfect balance, but with sensitivity and conversations, we can come close enough to honor our past ministry and relationships while honoring the colleagues following us as well. *Thomas G. James is minister of mission and contemporary worship at Centreville UMC in Centreville, Va., and former resource manager for the Lewis Center for Church Leadership. Lovett H. Weems Jr. is director of the Lewis Center. This article is reposted by permission from Leading Ideas, a free e-newsletter from the Lewis Center for Church Leadership of Wesley Theological Seminary and available at www.churchleadership.com.